LAS VEGAS and FAIRFIELD, N.J. – April 11, 2012 – Copystar, a division of KYOCERA Document Solutions America, Inc., today introduced its latest business applications, KYOCERA Mobile Print and KYOCERA Cloud Connect. 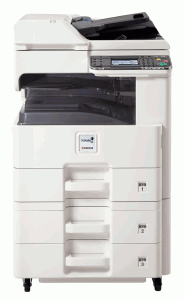 The KYOCERA Mobile Print app enables mobile users to print and send files, scans and images from their mobile devices to select Copystar document imaging devices in their network while KYOCERA Cloud Connect enables users to print and scan files in Evernote, a cloud service provider, directly from Copystar’s HyPAS-enabled MFP Control Panels. 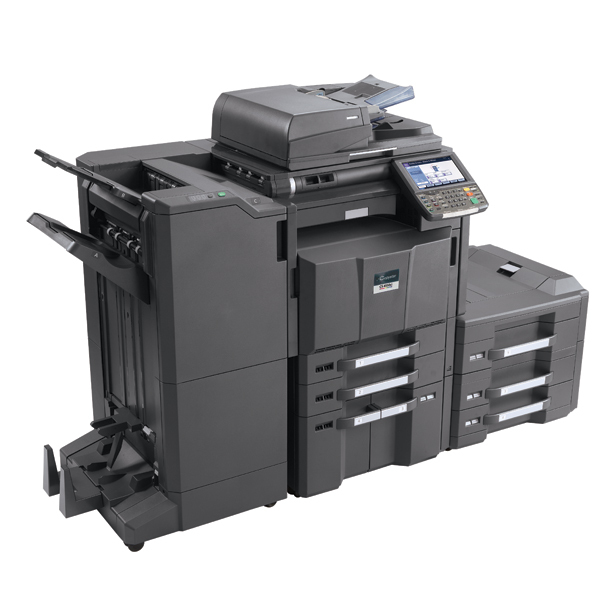 KYOCERA Mobile Print enables users to print and scan using their smartphones and tablets with Copystar’s printers and MFPs. With KYOCERA Mobile Print, users can make their everyday document workflow needs much faster and easier when using iOS and compatible Android smartphones and tablets. Device Discovery: Quickly and easily discover Copystar Printers and MFPs via WiFi. Evernote is among the world’s fastest growing cloud services with over 25 million users today. The application is a tool for users to “Remember Everything,” including captured memos, photos and web articles. The KYOCERA Cloud Connect application allows users to upload and store files to their account on Evernote directly from the touch screen control panel of a HyPAS-enabled Copystar multifunctional product (MFP). And when a hardcopy of any document is needed, users can print directly from Evernote. Evernote to Print: Retrieve and print files stored in Evernote directly from a Copystar HyPAS-enabled product in file formats including JPEG, PDF and TIFF. The KYOCERA Mobile Print and KYOCERA Cloud Connect apps are being showcased at Kyocera’s Annual Pan-American Dealer Meeting at The Venetian Las Vegas April 11-12, 2012. The KYOCERA Mobile Print and KYOCERA Cloud Connect apps will be available April 2012. For more information on Kyocera’s HyPAS apps, please visit: www.copystar.com. Copystar is a division of KYOCERA Document Solutions America, a leading provider of computer-connectable peripherals, including network-ready digital copiers/printers, laser printers, color copiers/printers, digital laser facsimiles, multi-functional and wide format imaging solutions. For over 30 years, Copystar has provided small, medium and large-sized customers the latest technological solutions, both hardware and software. 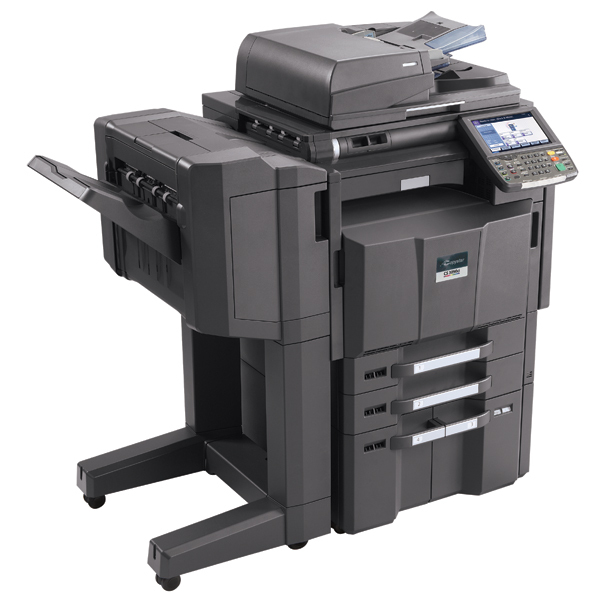 Top-notch service, reliability, cutting-edge technology and “Best in Class” document imaging devices are just a few of the strengths Copystar has developed over the years. 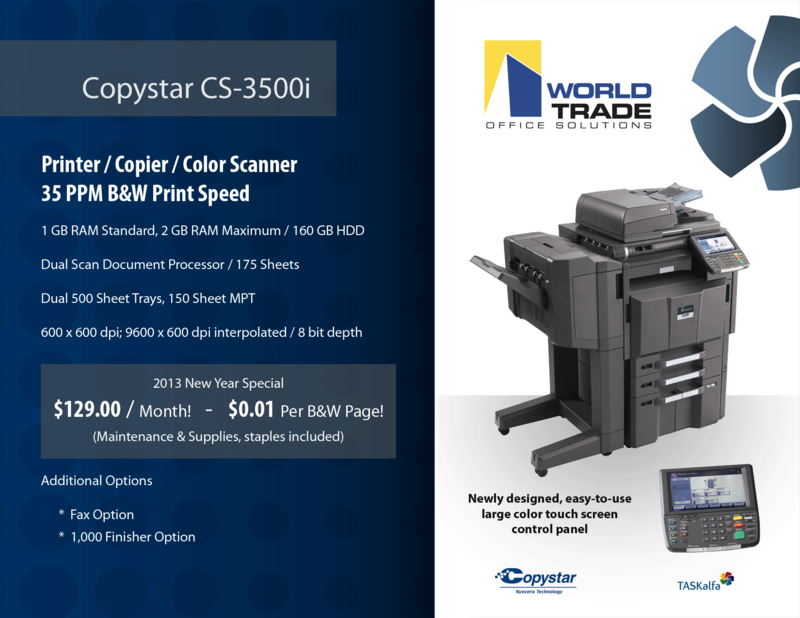 With sales locations throughout theUnited States, customers can utilize Copystar’s fleet of copiers, printers, multifunctional products and color for optimum efficiency and effectiveness inside their organizations. Copystar is based inFairfield,New Jersey.